Can Assets Inside an LLC Be Protected From Creditors? 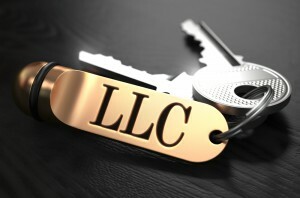 One of the most popular asset protection tools available today is an LLC. LLCs that are managed properly are typically safe from the reaches of creditors of an individual member but there are exceptions to this rule that begins with the number of members, even if an LLC is the right strategy for a particular type of asset. If a debtor is a member of the LLC at the time a creditor begins collection efforts against that member individually, any profits from the LLC that would otherwise be distributable to that debtor member are stuck inside the LLC. Even though a creditor can’t enjoy the profits of the LLC or LLC assets that are allocated to the member share of the organization, the member will be unable to enjoy them either since a creditor with a proper legal standing can intercept them before the member receives them from the LLC. This is why it is imperative to be knowledgeable about how LLCs work and whether it’s truly the right asset protection plan for you.